I've never heard of e-buckers, but I prefer underwound pickups so I'll watch out. I would love a chambered LP. I even liked the Epi Florentine that appeared a few years back. Weight: I have a LessPlus which has a reduced body and is v easy on the back. OK if you can take the XXL neck width that is! Fortunately it suits me fine. The chambered reissues are nice. In '06 when I was buying my first nice guitar, I tried out tons of guitars, tons of LPs and the best guitar by feel and sound was the Les Paul Studio, which happened to be chambered (found that out later as Gibson didn't really advertise the change at the time). I still think it is the best guitar I've ever played and I'll never get rid of it. This doesn't really have much context to the thread, but I wanted to share. Try any and all Custom Shop or Historic Les Pauls you come across. Don't get hung up on the words "chambered", "weight relieved", that stuff. A great, lightweight Les Paul isn't real hard to find if you don't mind spending money. This is dumb criteria I know, but it worked for me when I used Les Pauls. About 20 years ago I was playing Les Pauls with an eye to buying another one. I came across a '58 Reissue Blacktop, exclusive to the store and all that. It was seriously a 5 pounder, 6 at most. Just a great guitar, I should have bought it, it remains in my head as a guitar I would probably buy today and I don't own any Gibsons and have no plans to, that's how good it was. What I got out of that was the back of the guitar. Not the whole "one piece back!!!" myth, but the color. It was not on the red side of Mahogany it was on the brown side, very light color. It wasn't Korina it was Mahogany and it was late 50's ash Tele light. I started playing the lightest colored backs I found in stores, they are almost always Custom Shop or Historics, and every single one I have ever played since was noticeably lighter than any chambered or weight relieved guitar in any situation. Add a minimum of 1500 to the price of a standard and you are there. It's a lot of money but well worth it if the weight means that much. As has been said the Chambered reissues are superb instruments - if you can find one. If not then bear in mind that in terms of weight the regular USA-line chambered LPs can vary greatly from one to the next. One of the nicest playing LPs I've ever tried-out was a regular run-of-the-mill Studio Faded which is pretty near the bottom-end of the Les Paul price scale. 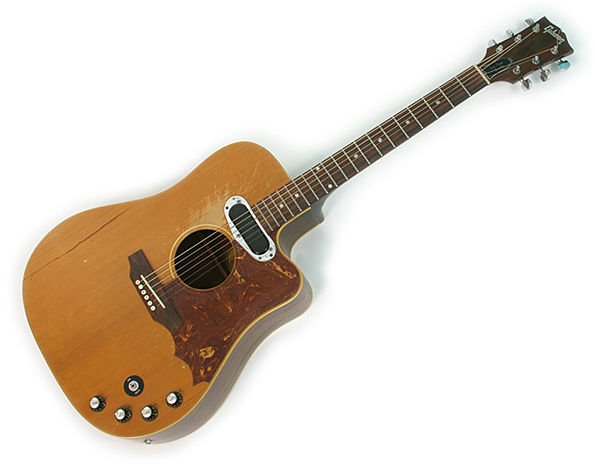 It might have been very 'Plain-Jane' to look at but it was a SUPERB guitar in every respect which actually matters. Do tell... in what way? Back when usenet and Harmony Central were the only guitar places on the Netscape fueled world wide web, much jocularity ensued using the name Hoadley. 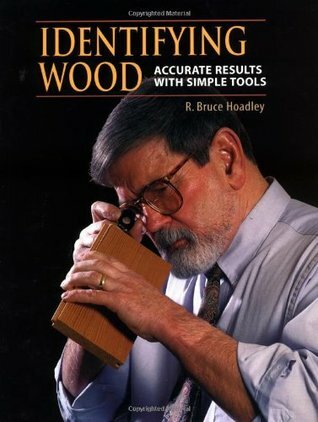 There musta been thousands of users with Hoadley in their screen names, all telling the biggest lies they could think of about wood. Morning Wood was quite the thing. Maybe because they are a semi hollow body? Nope, beside the OBVIOUS, I have two, and 5 Les Pauls. OP, in WHAT WAY, are they different than a chambered LP? I asked the "OP" because his remark was made with disdain, without substance like he / she has a chip on the shoulder. What IS a Les Paul? A 54? 58? Junior? DC? Of the probably over a hundred "Les Paul" models EXACTLY what is that criteria he used? A Gibson Les Paul is anything which Gibson chooses to call a Les Paul. End of story. Cant argue with Pip's reasoning! EXACTLY!!! Why purist players pigeon hole something Gibson has named mystifies me! I've had Les Paul's since 1968.. The first was a mid to late 50's Les Paul Jr. It was an amazing sounding Guitar. I didn't know what I had & sold then went through severa differen kinds of Guitars. Some good & some not so good until sometime in the mid '70's I lucked into a 1959 Gibson ES345 with Original PAF's in immaculate condition... The best looking, playing & sounding Guitar I've ever owned.... Again, I didn't know what I had & sold it in the late 80's then went through several more good & not so good Guitars. Over the years I've acquired some different kinds of Guitars & like them all... But, still the LP was my best Gibson/Epiphone Guitar..... Just heavy after a few hours. About 2016 I saw a Memphis Blacktop ES Les Paul with MHS Pickups & Bigsby in an Ad & thought it looked totally badass! I negotiated a decent deal on one & ordered it. I received it brand new in the wrapper. It was a beauty! I plugged it in, played it & it's now my main Gibson HB Guitar. Over my 90's LP, 2015 ES335 & Firebird V.
It sounds as if you have found the LP you want. 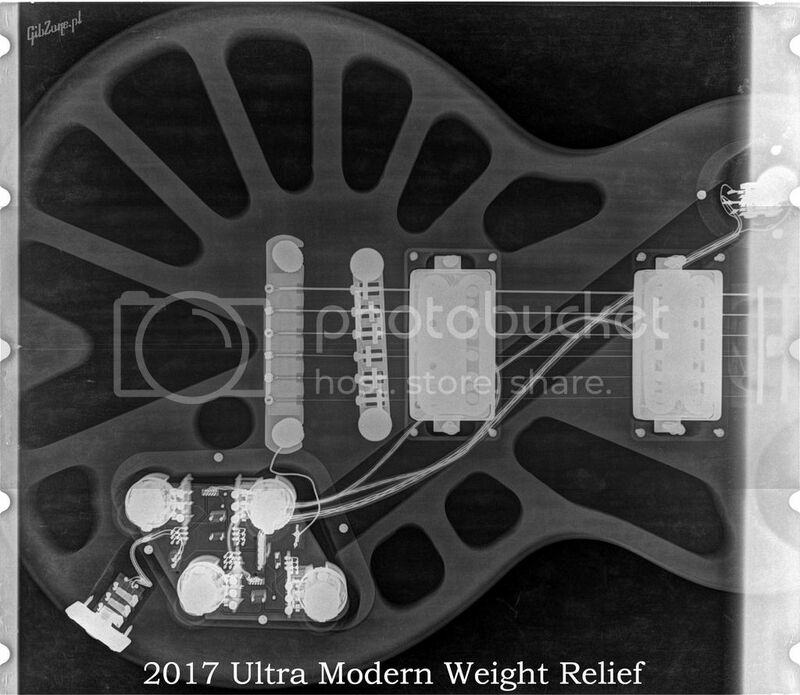 But just as a reference I have a 2017 LP Standard that has what they refer to as ultra-modern weight relief and it weighs just under 7 pounds. So the weight problem can be solved without losing the playing/tonal characteristics of a Les Paul. No kiddin ? I got the same Guitar, 2017 Les Paul STANDARD in Heritage Cherry Burst and it weighs 8 LBS 10 Ounces, when I put the Bigsby B3 on it it hits 9Lbs 6 Ozs. and either way it cuts off the blood circulation in my left arm after about 45 minutes and I have to stop playin it ! I really love the Guitar too, Its a FRIKKIN CANNON !, but I am thinking of getting rid of it as I can't play it long enough ....and I was going to buy the 2017 Traditional but the STANDARD got the nod because of the Locking Grover's. I have owned a few Gibson Les Pauls over the years, and whenever it came time to let them go, it was inevitably for the reason that they were too heavy. I own two Gibsons at this time, and I must say that I am very happy with both of them. First, my Gibson SG Naked. Beautiful P90 tones, slim profile, and she weighs less than six and a half pounds. Compare that to my recently sold Les Paul Sully Erna guitar that was a beast at nearly ten pounds! And to the point, my Gibson Les Paul Faded, in the Worn Bourbon finish. Incredible sustain, powerful harmonics, a comfortable neck, and she weighs just seven and a half pounds. Gibson made my LP Faded using the 'Ultra Modern Weight Relief' carve, and I must say that I approve. It's comfortable to perform with, easy to lug around, and has tone and sustain for days. Having owned both a late 50's Les Paul & a 1959 ES345 which were the best Playing & Sounding Guitars I've ever encountered. Both are long since gone. Unfortunately. My recently acquired Gibson Memphis Blacktop ES Les Paul w/ Bigsby is the best of both Worlds..... Build quality, Looks, Sound & Playability. Including some other really good LP's.. All of them were/are Anchors! I'd still love a solid Top Chambered LP w/ P90's & a Bigsby if it was in the 7 lb. Range!